Special to so many of us, jabbing us with a shot of nostalgia every time we hear them mentioned, Disney movies can be some of the most precious memories of our childhood. There are so many valuable life lessons! So many characters to idolize! Of all the holidays in one's life, there are few that mean more to so many than the momentous firsts in an infant's initial year. Especially, of course, to you: the parents. There are a lot of firsts, in fact, some of which you've probably gotten to experience! Take, for example, the first crawl or the first little dance. There was, of course, the first nerve-wracking car ride and then the first night home from the hospital. Then there was, unfortunately, the first marathon crying session and the first thrown plate of food—the first bruise, even, from a bottle he or she threw at you. There might be a first favorite food or television show or song or relative (but don't tell the others!). A little one's first Halloween can be a momentous event, especially considering it's likely the first first that warrants a celebratory costume! 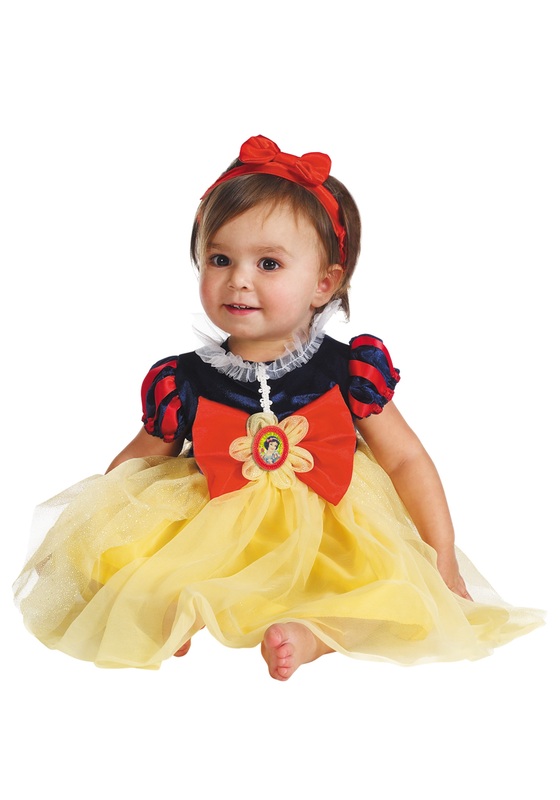 You (and your little one) can celebrate the occasion by dressing her in this Infant Snow White My First Disney Costume! It's absolutely fit for a princess: made out of a soft, comfy cotton polyester and comes with a red satin headband with a bow at the front. Oh, and if you hadn't gathered from the soft velour and glittery knit mesh, it's super-cute—making this a first-time at least you won't soon forget!